Acupuncture is a powerful yet gentle, safe and effective treatment modality for a wide range of conditions. If you are frustrated with the traditional medical system, if you’re on meds and still feel sick, or troubled with side effects from a variety of meds and would like a viable, holistic solution to your condition, then please do yourself a favor and discover the benefits of acupuncture and traditional Chinese medicine. It has transformed the lives of many of our patients. It has transformed the lives of us, the practitioners. We love what we do and we are confident that we can help you achieve optimal health and wellness. Below, we have compiled a list of the most frequently asked questions new patients bring to us. What is Qi and what are Meridians? How much will Acupuncture Treatment cost? Will Acupuncture Treatment be covered by my insurance? What type of training do Acupuncturists get? Why does my Acupuncturist want to feel my Pulse? Why does my Acupuncturist want to look at my Tongue? Can Acupuncture help my Depression? Can I use Acupuncture to Quit Smoking? Does Acupuncture work for Addictions? Why did my Acupuncturist recommend Chinese Herbs? Chinese Medicine or Traditional Chinese medicine, also known as TCM, includes a range of traditional medicine practices originating in China. TCM practices include such treatment modalities as Acupuncture, Chinese Herbal Medicine, Nutrition / Dietary Therapy, and Tui Na Massage. Qigong and Taijiquan are also closely associated with TCM. Traditional Chinese Medicine (TCM) is largely based on the philosophical concept that the universe is made of an energy called qi. This energy can be any state of matter or energy in existence. TCM believes that the body is a small universe, a microcosm unto itself that is a complex of subsystems of energy and matter, and that these systems work together to maintain a healthy mind and body. TCM believes that illness is caused by external and/or internal factors which disrupt the body’s natural processes. 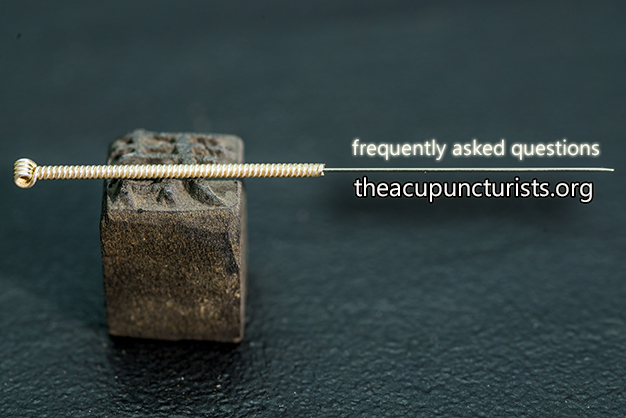 Acupuncture (from the Latin word acus, “needle”, and pungere, meaning “prick”), as part of Traditional Chinese Medicine, is a technique in which the practitioner inserts fine needles into specific points on the patient’s body. The intended effect is to increase circulation and balance energy (qi) within the body. It is a safe, painless and effective way to treat a wide variety of medical problems. WHAT IS QI and MERIDIANS? At the core of this ancient medicine is the philosophy that Qi (pronounced chee), or Life Energy, flows throughout the body. Qi helps to animate the body and protect it from illness, pain and disease. A persons health is influenced by the quality, quantity and balance of Qi. Many things influence the quality, quantity, and balance of Qi. Physical and emotional trauma, stress, lack of exercise, overexertion, seasonal changes, diet, accidents or excessive activity can lead to a blockage or imbalance of Qi. The Traditional Chinese Medicine Explanation of how acupunctures works is that the qi or life energy flowing through the body can be influenced and balanced by stimulating specific points (acupuncture points) on the body. These points are located along channels of energy known as meridians that connect all of our major organs. According to Chinese medicine, illness arises when the flow of Qi in the meridians becomes unbalanced or is obstructed. The stimulation of acupuncture points on the body have the ability to alter various conditions (biochemical and physiological) in order to achieve a favorable/desired effect. Acupuncture points are areas of designated electrical sensitivity. Inserting needles at these points stimulates various sensory receptors that, in turn, stimulate nerves that transmit impulses to the hypothalamic-pituitary system in the brain. These glands are responsible for releasing neurotransmitters and endorphins, the body’s natural pain-killing hormones. Endorphins are 200 times more powerful than morphine. Endorphins also play a major role in the functioning of the hormonal system. This is why acupuncture works so well for many conditions including back pain, arthritis, P.M.S. and infertility. The substances released during acupuncture treatment relax the whole body. They also regulate the neurotransmitter called serotonin in the brain, which plays a major role in mood and disposition. This is why depression and anxiety is often succesfully treated with acupuncture. Other benfits of acupunctured that have been observed include increased circulation, reduced inflammation, pain and muscle spasm relief, and increased T-cell count which boosts the immune system. In 1996, The U.S. Food and Drug Administration (FDA) approved acupuncture needles for use by licensed acupuncture practitioners. The FDA requires that the needles be sterile and nontoxic and for single use only by qualified practitioners. Very few complications have been reported to the FDA even with millions of people treated each year with acupuncture. The needles are metallic, sterile, solid and hair thin. Most people report acupuncture treatment to be a positive and enlightening experience. It is calming and relaxing and most people feel energetic and rejuvenated after a treatment. Most feel little or no pain as the needles are inserted, just a slight pinch. We practice gentle acupuncture at our clinic and our patient’s response to treatment is largely favorable. Our usual fee for your comprehensive health evaluation and exam, which includes tongue and pulse diagnosis as well as other relevant diagnostic tests is $125.00. The initial visit is a comprehensive full health history performed to determine the root cause of your condition and any patterns of disharmony in your body. In addition, we also do a thorough nutritional and lifestyle evaluation, educate each patient on the fundamentals of acupuncture and Chinese medicine, and form a complete, effective and viable treatment plan together with you. Once this initial evaluation is completed, all diagnsotic tests are performed and we have a full understanding of your condition, your treatment plan can be put into effect. Acupuncture treatments can begin, herbal remedies and nutritional supplements can be prescribed. This is a great opportunity to learn how acupuncture and Chinese medicine can help your condition. This fee of $125.00 also includes your first acupuncture treatment. Subsequent acupuncture treatments are $75.00 a session. Packages of treatments can be purchased to lower the cost of each treatment. We also have financing programs available to each patient to soften the financial burden. Ask our front desk staff about Clear Guage and Care Credit financing programs. We are also in network with many insurance carriers. We do everything we can to make money a non-factor in your treatment. We want to see you get the treatment you need and that you deserve, but at a price you can afford. We want to help you. Call us for a free consultation to discuss all your options – 954-586-2273. WILL ACUPUNCTURE TREATMENT BE COVERED BY INSURANCE? We have been able to obtain reimbursement from many insurance providers such as Aetna, Cigna, Blue Cross Blue Shield, United Health Care, Humana, and others. We are currently in network with Aetna, Cigna and United Health Care and we offer 20% discounts for Humana, AvMed, Blue Cross Blue Shield and Coventry. Keep in mind also that you may have out of network benefits that can cover acupuncture costs. You do not have to have in network benefits only to get coverage. Please call us so we may verify your insurance before your first treatment. At the point of needle insertion you may feel a vague tingling, numbness, or heaviness in that area. This is normal. This is the sensation of Qi! Sometimes people experience a burst of energy spreading and moving around the needle. These sensations and reactions are positve and a good sign that the treatment is working. After treatment you may feel energized or very relaxed. Click here to read about your first session. Prepare your questions ahead of time. We’ll gladly go over the entire process with you and answer any questions you may have about your diagnosis and treatment. Wear loose and comfortable clothing that can roll up above the knee and elbow. Do not over exert yourself after a treatment usually for up to 6 hours after the visit. Use this time to meditate, reflect and relax. Use the restroom before your treatment to empty your bladder. Between visits take notes of any changes that may have occurred in your body – i.e. pain reduction or exacerbation or any new or additional symptoms you may be experiencing. Click here to read about your first session. Naturally, chronic conditions take longer to resolve than acute ones, so expect treatment for chronic conditions to be spread out over weeks and sometimes months. The number of treatments vary from person to person, condition to condition, and case to case. Some people experience immediate relief within one or two treatments while others may take longer to achieve results. Licensed acupuncturists receive 4 years of comprehensive graduate training at nationally certified schools. All acupuncturists must pass national exams and meet strict guidelines to practice in every state. All the acupuncturists at Care Wellness Center are experienced, licensed and nationally board certified by the NCCAOM. There are 12 positions on each wrist that your acupuncturist will palpate. Each position corresponds to a specific meridian organ. Your acupuncturist will be looking for 27 individual qualities that reflect overall health. If there are any problems, they may appear in the pulse. Your acupuncturist will go over pulse diagnosis in more depth during your initial visit. The tongue is a map of the body. It reflects the general health of the organs and meridians. Your acupuncturist will look at the color, shape, cracks, and coating on your tongue. Tongue diagnosis will also be explained in further detail during your initial exam.